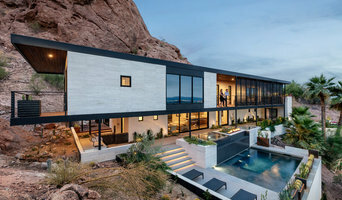 Winners of the AIA National "Future of Architecture" competition, we are a husband & wife led architecture firm that specializes in designing homes for people with the pioneer spirit, the dreamers and seekers who see home as more than just a house. Our clients see home as a place that roots you in your community, provokes curiosity and exploration, and emboldens you to do more of what you love. Equipped with our national award-winning experience and your desires, we design homes to honor the past, challenge the norm, and inspire the future. The majority of our work is comprised of new build houses and significant renovations and additions to modest ranch houses, mid-century modern homes and historic properties. Our Name: We are often asked how we came up with our company name, The Ranch Mine. Before we formed our company back in 2010, we spent 7 months traveling around Arizona, exploring the rich history of our state in search of what was authentically Arizonan. During these trips, a common thread started to emerge: the romance of the pioneer spirit. Everywhere we went we heard stories and saw manifestations of the driven, impassioned people in search of a richer life. This spirit is still alive and well today. We chose our name to honor those that have come before us, the humble ranchers and miners, who have paved the way for our opportunities for prosperity today, and to serve as inspiration to continuously push the envelope and lead the way to better living through design. Our Story: In 2009, Cavin Costello received his Masters degree in Architecture and made the drive to Phoenix, Arizona sight unseen, inspired by the complexities and opportunities to be had in the rapidly urbanizing southwest. He had not yet been a full day in Phoenix when he met Claire Costello, then Claire Aton, a Phoenix native looking to make the most of her recent move back home. The two quickly bonded over their ideals of the built environment, how to improve upon it and its ability to influence. Not settling for a hard hit economy to dictate their next move, the duo decided to act. So, they bought a fixer upper and experienced first hand the trials and tribulations of a major renovation. 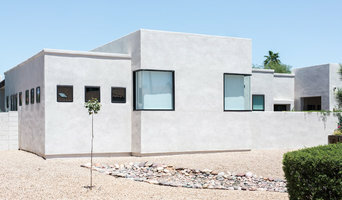 The two continued paving their own path developing the First Phoenix Green Construction Code project, designing for visionary real estate developers, and creating inspired homes for unique homeowners like you. Kendle Design Collaborative designs homes that speak to your heart and soul, homes that are inspired by the natural beauty of the land that you call home, be it forest, waterfront, prairie or desert. We strive to design homes where a unique visual delight may be found around every corner and in every detail, often changing with the passing of the sun or the changing of the seasons. This we believe is living architecture, an ever changing natural tapestry that celebrates the many joys of living. THE IMPORTANCE OF JOY. As an architect I feel my primary responsibility is to clearly understand my client’s priorities, their values and aspirations, but most importantly to understand what brings them joy. Then and only then can I carefully craft the design and details of their new home such that it enhances their daily living, bringing them joy in their quietest moments as well as times of celebration. WHAT SETS KENDLE DESIGN COLLABORATIVE APART? In a word AUTHENTICITY. What we practice is Regional Modernism. It’s not a “style”. It’s what we are passionate about, it’s what we believe in, it’s what is in our soul. When you look at our website you won’t find Mediterranean, you won’t find Tuscan or French Country. It’s not who we are. The homes we design are in harmony with nature; they celebrate their context and reflect the unique values of the individuals we design for. WHY? Because when you design in this manner you transcend Style, you give the home roots, a reason for being what and where it is – you create timeless living architecture. Since opening its Old Town Scottsdale office in 2015, Drewett Works has rapidly become one of the most prolific and awarded architecture firms in the area. A boutique architectural firm with a luxury focus. DW specializes in the upper end of both residential and end-user commercial building projects. With a detail-focused team and extensive exposure to the use of high-end finishes, they are eager to spread their creative boundaries on every project. Firm founder architect C.P. Drewett’s commitment to stewardship permeates every project and is the guiding principle of the firm. “Why do our clients seek us? Our clients want our stewardship, leadership, and vision,” said Drewett. “My clients trust me and my commitment to their lives, their site, and their architecture. That stewardship begins in the initial conversations about wants and needs, continues through the design process, and trickles down into every detail of the project and on to the final construction plans.” A childhood of working alongside his father building furniture and working with his hands, CP helped his dad remodel homes creating a natural progression for his life towards architecture. “My father taught me the art in critical thinking. My entire life I have been a student of detail, art, and construction,” says Drewett. “I am blessed beyond words to have a career driven by my passions and even more blessed to be recognized by my peers for my work.” Fresh from the Gold Nugget Awards in June 2018, DW added five Awards of Merit to its list of accolades. Award winning projects included “Outside In” for Best Indoor/Outdoor Living, “Desert Prairie” for Best Custom Home 4,000-8,000 sq ft, and “Hummingbird Sanctuary” for Best Renovated or Restored Home. 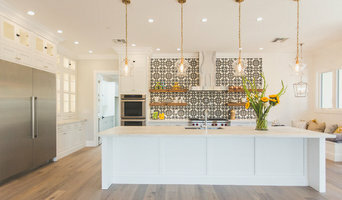 For their modern farmhouse designs at The Sycamore in Arcadia, DW earned Best Single Family Detached Home 3,500 - 4,500 sq ft and Best Residential Detached Collection of the Year honors. 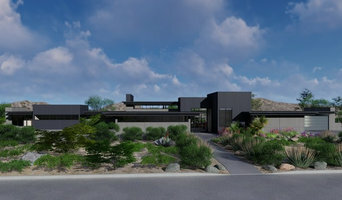 DW received the architectural commission for the newest clubhouse at the world-renowned Desert Mountain which is now under construction and will feature a gastropub with both indoor and outdoor dining. Currently on the boards at DW are the Ritz Carlton Estate Homes which range from 5,500 to 12,000 square feet and include all the services and amenities of the Ritz-Carlton, Paradise Valley, soon to be under construction. David Jackson Interiors is a company committed to remodel and improve business interiors and private residences. Our business clients are Banks, Attorney Firms, and professionals in Medicine. Our residential customers seek us out for something as simple as a clever window treatment or finding new ways to improve lighting in their home. Doctors, Orthodontists, and Specialists seek our advise to affordably remodel their clinics, treatment areas, and exam rooms. We have the right people for the right job. We know how to reupholster something as tricky as an exam table, or providing LED lights for the latest effect in artistic murals. We have even found a cost saving alternative to stone countertops. Years of experience help us find inventive and clever solutions is space planning. There is a right way to design a modern interior, and right way improve the credibility of a business the moment you walk into the lobby. Knowing how to achieve confident results within a reasonable budget is what our clients want. Invite us to your space to sit down and talk about your ideas. Whether it's your home or your business you'll be proud of your new space and your patients and clients will compliment you on the cleanliness and comfort while visiting. GOOD DESIGN IS GOOD BUSINESS. Arizona's number one choice for the design of a Custom Home. The professionals at AEH Builders have been working in the Phoenix and Scottsdale area for over 10 years, and a team of experienced builders with a combined 150 years! Through numerous projects for both residential and commercial clients, we have accumulated an expert level of skill and knowledge. We offer custom home building, home remodeling, including kitchen and bath remodeling, commercial remodeling and property improvements, and reliable handyman and home repair services. Regardless of the scope of the project, we take a client-centered approach. We are committed to our goal of creating structures and home improvements that reflect our clients’ visions and lifestyles, and we achieve this by communicating with clients at each stage of the process. We take great pride in our work and thoroughly vet all of our subcontractors to ensure that they comply with our high standards. We understand that a building project on your home or office is a major undertaking, and we aim to ease stress for our clients. Our team of professionals is just a phone call, text, or email away to address any questions or concerns that arise. Castle Rock Homes is a family-owned, family-operated business, serving the greater Phoenix area. Our company was established by two brothers who, after serving their country for more than 20 years, retired from the military to fulfill their dream of building quality custom homes. It is our goal to consistently provide quality work on every project and the highest level of service and integrity. We are a custom home builder and we build exclusively with Insulated Concrete Forms (ICF). Energy-efficient homes and basements are our specialty. Please visit our website(s) for more information: www.castlerockhomes.us and www.icfspecialist.com BUILD IT WITH CONCRETE...BUILD IT FOR LIFE.